Mayhill Fowler. 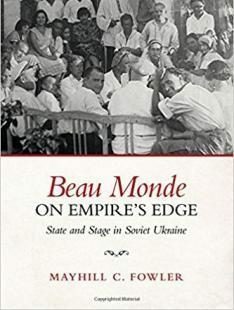 Beau Monde on Empire’s Edge: State and Stage in Soviet Ukraine (University of Toronto Press, 2017), 304 pages, $75. Panas Saksahanskyi (Tobilevych), a prominent Ukrainian turn-of-the-century director and an author of somewhat picaresque memoirs describing his lengthy career in theater, once recounted the experience of touring the inner provinces of the Russian Empire with his troupe. The process involved obtaining temporary residence permits for the troupe’s Jewish orchestra conductor and tailor, a process as tiresome as it was rich with comedic fodder for the eventual memoirs. In one case, the prevaricating governor of Kazan refused to issue a permit, but postponed his decision for so long that it did not reach the theater until after the tour was complete, and the troupe was back at its home base in Kyiv for some months (Po shliakhu zhyttia, Kyiv: 1935, p. 165-166). Other than illustrating the fact that the system’s inefficiency could often be relied on to mitigate its inhumanity, the anecdote also provides a glimpse of the intercultural dialogue and artistic collaboration that flourished in the ethnically, religiously, and culturally diverse land that was officially known as the Russian Imperial Southwest at the time of Saksahanskyi’s tour, and subsequently became Ukraine during the director’s lifetime. Simply put, culture was a joint venture. This diverse milieu, as well as its constructive and destructive dialogue with the authorities, is the focus of Mayhill Fowler’s book Beau Monde on Empire’s Edge: State and Stage in Soviet Ukraine (University of Toronto Press: 2017). Beau Monde on Empire’s Edge documents the “unmaking of the Russian Imperial Southwest and the making of the Soviet cultural periphery” (10) through the history of theater, with particular attention to the brief period from the 1920s to the early 1930s in which the periphery was the place to be. This was partly due to korenizatsia, or “indigenization”: a series of affirmative action policies intended to promote cultural production in and official usage of languages of various ethnicities of the Soviet Union, with the goal of producing a Soviet iteration of their cultures (as the adage went, national in form and proletarian in content). In large-scale, state-orchestrated attempts to define the parameters of each folk culture, 1 1 Or national culture, depending on the translation: while narodna can mean either “folk” or “nation” and the book uses “national” throughout, the term often seems to refer to narrowly conceived ethnographic forms. as well as in crafting the version of ethnic cultures that would accommodate the subjectivity of a loyal Soviet citizen, Fowler argues that theater played a prominent role, earning it a privileged position in Soviet society. Such privileges came with concerted efforts to micromanage theater’s infrastructure and repertoire: non-Russian cultures were to enjoy “high culture,” such as opera, and, on the other end of the spectrum, ethnographic kitsch (exemplified by folk dances), whereas urban and modern entertainment was to be pan-Soviet, that is, in practice, Russian-language in medium (18). 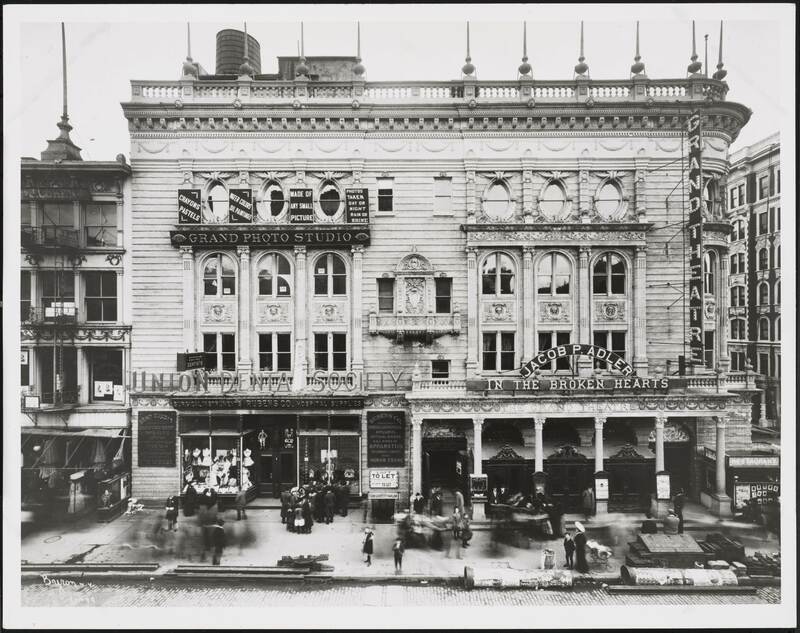 Theater was open and malleable to top-down reforms because it required official patronage to function (to obtain location permits, to get the repertoire approved, and to guarantee ticket sales), more so than most other arts. At the same time the element of spontaneity, playfulness, and improvisation inherent to the medium remained stubbornly inimical to centralized planning. Hence, as much as Soviet art officials may have wanted to see their relationship with artists as a one-way street, Fowler offers a more nuanced picture of ongoing negotiations, such as experimental and borderline subversive productions of ideologically inoffensive plays previously green-lighted by censorship. For example, while the play Dictatorship by Ivan Mykytenko was, by most charitable accounts, a fairly straightforward and pedestrian propaganda piece legitimizing grain collection, Les Kurbas, the artistic director of the Berezil theater, opened it up for ambiguities where the original text did not necessarily encourage or even allow for a multitude of readings. The choice to complicate the play by introducing discordant voices and notes through filmed dream sequences and intentionally ambiguous stage designs created by the Constructivist painter Vadym Meller (135-7) might have put the director on a collision course with the authorities that led to his arrest and execution several years later. Beau Monde on Empire’s Edge focuses not on the Great Terror of 1937, however, but on the earlier period and the authority’s formative role in structuring the cultural landscape. The largely invisible “arts officials,” functionaries in charge of allocating resources, managing commissions, and, in short, running the infrastructure of Soviet culture, take center stage in the book, no less central than artists (and often moonlighting as both). Their role was especially prominent in minority (i.e., non-Russian) theaters during the policies of korenizatsia, when the state noticeably relied on culture for legitimacy and authority, whereas artists relied on state patronage for resources. In the time under discussion, Ukraine had forty-eight theaters in eight languages, more theaters in non-Russian languages than any other Soviet republic (119), each expecting party and state support for their livelihood. For example, a coat checker of the Kyiv State Yiddish Theater appealed to Politburo members to induce government officials to attend productions, complaining about the theater’s poor attendance not bolstered by bulk ticket sales to Party or state committees. Polish-language theater fared even worse, lacking not only an invested audience but even actors with satisfactory knowledge of the language, a fact which did little to deter enterprising art officials for years. Rehearsal of Les Kurbas’ production of F. Crommelynck’s Tripes d’Or in the Berezil Theater (1926) via the Internet Encyclopedia of Ukraine. Highlighting the molds produced by the institutional arrangements rather than mold-breaking individual cases, Beau Monde on Empire’s Edge shines light on the blind spots of national cultural histories of the time, by tracing the unique trajectory of each literary/theatrical tradition, and following the often uneasy interface between the authorities and art institutions. Ukrainian and Yiddish cultures provide fecund ground for comparison due to their typological similarities. Both languages were often discounted as lower-class jargons in the nineteenth century, a fact that produced far-reaching formal parallels between each language’s early twentieth century literary projects. Both literatures were characterized by the prominence of stylized oral “folksy” narration (cf. Sholem Aleichem or Mendele Moykher Sforim in Yiddish, and Marko Vovchok or Ivan Nechui-Levytskyi in Ukrainian, among others), while many prominent writers and intellectuals in both languages consciously engaged in canon-formation projects, published simultaneously in similar kinds of literary almanacs. 2 2 While these two literary traditions bear striking similarities, the history of Ukrainian and Yiddish theater, as outlined by Fowler, could scarcely be more different: publishing in Ukrainian in the Russian Empire was largely banned from 1876 until after 1905, but theater remained permitted, albeit with limitations; in Yiddish, print enjoyed relative freedom, whereas theater was banned in 1883. Beau Monde on Empire’s Edge is structured around pairs of artists who worked in similar genres but enjoyed radically different reputations and outcomes because of factors directly related to the shifting cultural topographies of the early Soviet years. One such grouping focuses on the above-mentioned Les Kurbas (director of an innovative Ukrainian-language theater Berezil in Kharkiv, the then capital of Ukraine) and Solomon Mikhoels (the leading actor and artistic director of GOSET, or Gosudarstvennyi Evreiskii Teatr, in Moscow). Both directors created formally experimentative productions informed by prewar German-language expressionist theater; both worked in non-Russian-language theater; both were destroyed by the state, but at very different moments in history. Kurbas ran afoul of the authorities, was expelled from his theater, and fled to Moscow in 1933, when Mikhoels was still at the height of his career. According to the legend, Kurbas worked with Mikhoels on his legendary King Lear (1935); while Fowler notes that the legend has little grounding in reality, Kurbas was indeed temporarily employed by GOSET at the time of his arrest. The divergent fates of typologically similar directors is assumed to be indicative of the enforced provincialization of Soviet republics at the time: theaters outside Moscow and, to a lesser degree, Leningrad were increasingly seen as qualitatively inferior to their central counterparts. While Berezil was a republican theater, GOSET belonged to the Union jurisdiction (soiuznogo podchinenia), temporarily lending its team the respectability and legitimacy in the eyes of the authorities that could mean the difference between exile and the status of state artist (130). Arguably, the comparison could be broadened to include an account of the fates of Yiddish theaters in the 1930s outside of Moscow (or, alternatively, of central and provincial Yiddish theaters during the campaign that began with the murder of Mikhoels in 1948 and culminated in the Night of the Murdered Poets in 1952), although that possibly lies outside the outlined scope of the book. The official interpretation and treatment of each artist was, therefore, dependent not only on their output, but also on their position in the topography of the cultural institutional network: the closer to the center the artist stood, the higher the likelihood that their output would be feted as an artifact of universal Soviet culture. Fowler’s focus on the spatial as well as temporal dimension of cultural production is thought-provoking, but the tension between universal Soviet versus ethnically particular art could bear some elaboration, as when Fowler juxtaposes ethnically particular cultural production and universal artworks “not reducible to any ethnicity”: “every language of the Union belonged in a Soviet song” (98). 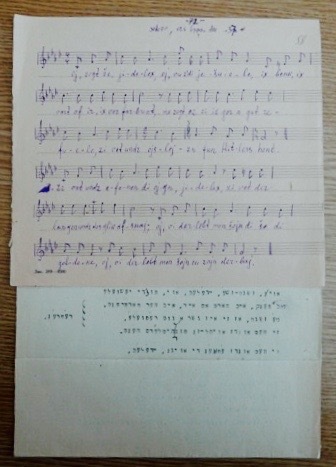 The book, however, does not quite persuade that this song, ultimately, could be sung in Yiddish, Ukrainian, or in fact any language other than Russian, as the suspicious dearth of natural deaths among the book’s protagonists seems to indicate. For one, the text does not offer examples of linguistically Russian yet ethnically particular artworks, while presenting explicitly exclusionary Russian-language texts that were nevertheless feted as universal. 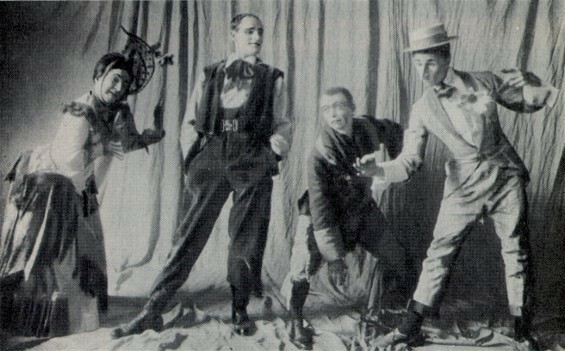 For example, a stage production of The Days of the Turbins was criticized for its caricatured depictions of Ukrainian accents and history, but the criticism did little to undermine Bulgakov’s standing as a universal artist (88). Therefore, the choice of linguistic medium seems as important a predictor for each work’s standing in the Soviet cultural hierarchy as its placement within a cultural topography. 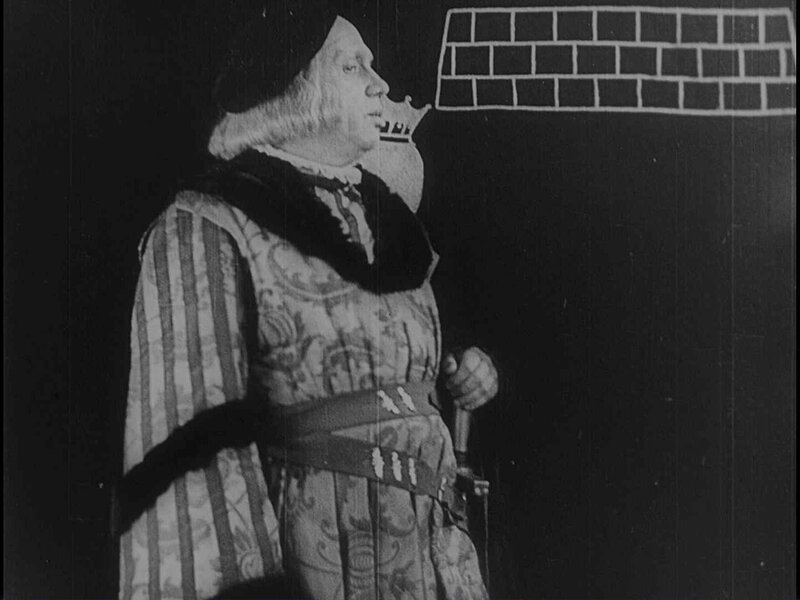 Filmed version of Yiddish State Art Theater (Moscow) production of King Lear, starring Solomon Mikhoels as Lear and Benjamin Zuskin as the Fool, via the US Holocaust Memorial Museum, courtesy of Chronos-Media Filmarchiv. With its engaging panorama of vivid portraits of diverse directors, writers, actors, officials, and everyone in between, Beau Monde on Empire’s Edge is an important counterbalance to the reductive equation of Imperial Russian and Soviet culture with Russian culture (and primarily produced from the center at that), reminding that the exclusive focus on the center may lead to many interesting phenomena slipping past scholarly attention. Meanwhile, its emphasis on top-down policies and institutional arrangements imposed from the center allows scholarship to bridge the gaps between divergent national cultural histories, and to appreciate which features were particular to each lineage, and which were a standard product of or a response to institutional prompts and pressures. Or national culture, depending on the translation: while narodna can mean either "folk" or "nation" and the book uses "national" throughout, the term often seems to refer to narrowly conceived ethnographic forms. While these two literary traditions bear striking similarities, the history of Ukrainian and Yiddish theater, as outlined by Fowler, could scarcely be more different: publishing in Ukrainian in the Russian Empire was largely banned from 1876 until after 1905, but theater remained permitted, albeit with limitations; in Yiddish, print enjoyed relative freedom, whereas theater was banned in 1883. Strikha, Iaroslava . “How to be Both: Officials and Artists Vying for the Limelight.” In geveb, March 2018: https://ingeveb.org/articles/how-to-be-both-officials-and-artists-vying-for-the-limelight. Strikha, Iaroslava . “How to be Both: Officials and Artists Vying for the Limelight.” In geveb (March 2018): Accessed Apr 21, 2019. 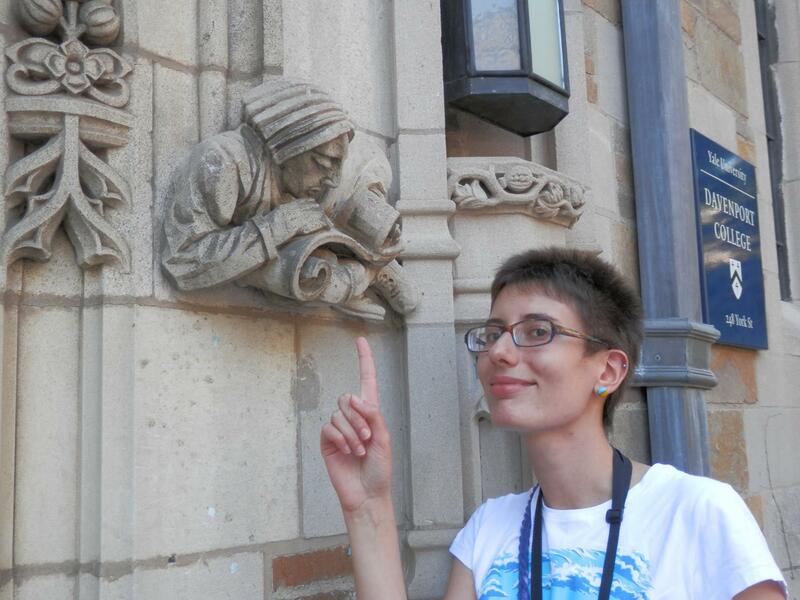 Iaroslava Strikha holds a PhD in Slavic Languages and Literatures from Harvard University.